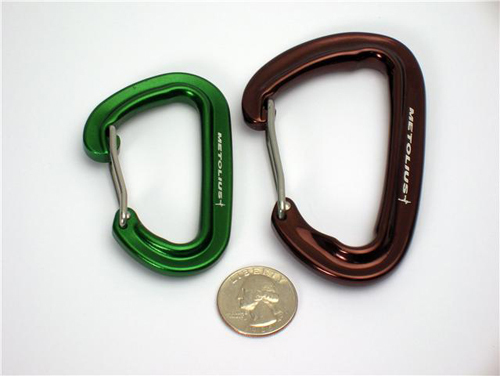 Metolius’ new mini carabiners look like keychain ornaments. But the UIAA-rated, full-strength ‘biners (22 kN rating) are made for rock climbing and alpine pursuits. They weigh only 25 grams apiece. Added up, a rack of mini biners can shed literal pounds from a climber’s rack. They are made for use alone or on a quickdraw. The biggest downside is the smaller gate opening, which makes it harder to clip. You may also not easily be able to clip in two ropes, negating the mini carabiners’ use at belay stations.